I have a place through out this site to fill out a special search form. Just fill it out and one of my brokers will send you what is available in the area. 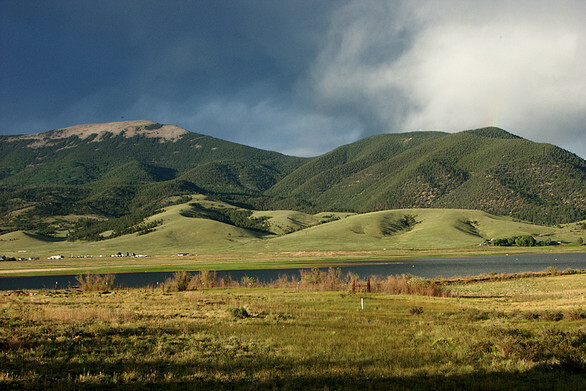 We cover Angel Fire, Eagle Nest, Cimarron, Red River, Springer, Raton, Las Vegas, Questa, Taos and everything in between! Create and bring a positive experience through every real estate transaction with honesty, integrity and dedication. When you are ready to buy or sell real estate in Northern New Mexico, call Stacie Ewing, New Mexico Realtor and Broker to help you through the process. It does not matter if it is ranch property, vacant land a home or a business. Ranches in the Northern New Mexico can be sweeping acreage with perfect terrain for horses or cattle or can be that small little ranch that fits a few chickens and a cow or two. Ranches come in many shapes, sizes and offerings. Ranches require a knowledge base that the seasoned ranch buyer or seller knows will either make the process easier or more difficult. Choose your ranch broker accordingly. Homes in New Mexico can mean a variety of dwellings. Cimarron, New Mexico, the average home can be hard to find. Homes in Cimarron sell fast and rent faster! Homes in Eagle Nest and Angel Fire typically mean a vacation home, retirement spot, summer home, or a winter skiing home. Cabins in the mountains are a favorite with the summer home shopper. Homes, cabins, get-aways, are always ready to sell in the high New Mexico real estate market. Land,,, they are not making any more of it... Land is tangible, land is solid, land can mean a home, a life, a legacy. Land is always a good investment. It could be ranch land, fishing land, vacant land, treed land, mountain land, even land to build or put a home onto. Land means having something permanent. American West will help you with buying and selling: cattle ranches, horse ranches, hobby ranches, guest ranches, hunting ranches. vacation homes, luxury homes, summer homes, part time homes, mountain homes, ski homes, income properties, homes in Cimarron real estate, Eagle Nest real estate, Angel Fire real estate, Red River real estate, Raton, Las Vegas real estate, rental properties, mountain properties, vacation properties, fishing properties, vacant land, ranch land, mountain land, land to build on, land to camp on, land to hunt on, real estate to retire with, real estate to vacation on, real estate to ranch on, real estate to live on, real estate to call home and so much more! WHEW!